Refrigerator Shopping: How Big Do You Need? When refrigerator shopping, think about the space in your kitchen and how much food you need to store. If your refrigerator is still giving you problems after trying our troubleshooting techniques, it might be time to buy a refrigerator! There are so many things to think about in buying a new refrigerator. Many new models have fancy features and bells and whistles, but the first thing you have to think about is how big a refrigerator do you need. Before you get overwhelmed with the refrigerator shopping process read on for some pointers. 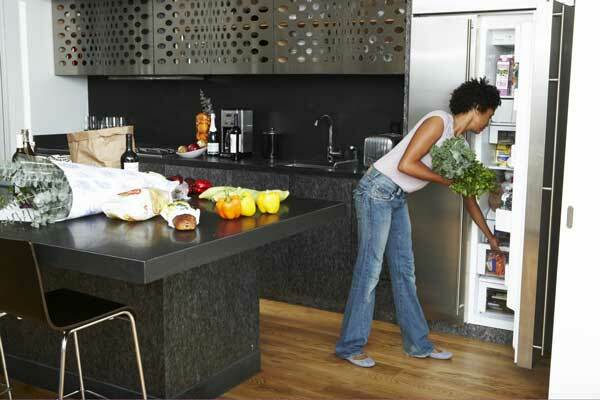 Everyone’s home and habits are different, and we don’t all need the same size refrigerator. If you have a family, or if you live alone, that will make a difference. How does your current refrigerator serve your needs? Do you need more or less storage space? How much room do you have in your kitchen? Do you have an open spot for a refrigerator or do you have a nook between the counter and a wall with exact size requirements? All these questions should be considered when researching for the size refrigerator you need. If you don’t know how big your current model is you will need to measure. You will need to measure how many inches across, the depth (how many inches to the back), and the height. This will give you an idea of what already fits in your kitchen. Then measure again for what is the largest that will fit across, depth, and height. This will give you an idea of how big you can go. A few years ago when we built our house we had to buy a brand new refrigerator and we had to think about these things. We have a space for our refrigerator between a wall and a counter, and overhead are some built-in cupboards. We have a nicely sized refrigerator, but we can’t really go any larger because of the space constraints. What type of refrigerator do you want? Side-by-side, French door, top freezer, bottom freezer, and even smart refrigerators. You have to think about how each of these different styles would work in your kitchen. Which way do the doors open? What would make the most sense with how your kitchen is set up. Which style is the best for utilizing space and efficiency of use in your kitchen? When looking for a refrigerator that would be good for my family, I always pay attention to cost effectiveness. Energy-efficient models have been proven to be the best in saving people money. Refrigerators that are larger tend to use more energy and more power, but the most efficient models are 16-20 cubic feet. The best energy efficient models also have the Energy Star designation. You want to make sure that your new refrigerator is going to fit in the kitchen and make it look as natural as possible. You want to make sure that it looks like it fits with the style of the kitchen and is large enough to fit all your food. Finally, it has to be what you want. Hopefully, these guidelines will help you fit a new refrigerator into your home. 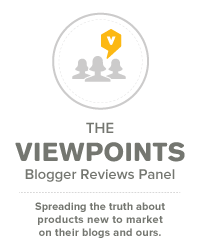 And when you have a better idea of what size refrigerator you want, come check Viewpoints.com Refrigerator Reviews to help make your decision.